Singapore Post has equipped each of its 1,000 mail carriers with a mobile app that they can use to track their deliveries by scanning NFC tags the national postal service has attached to 15,000 delivery points and ‘letterbox nests’ across the island. 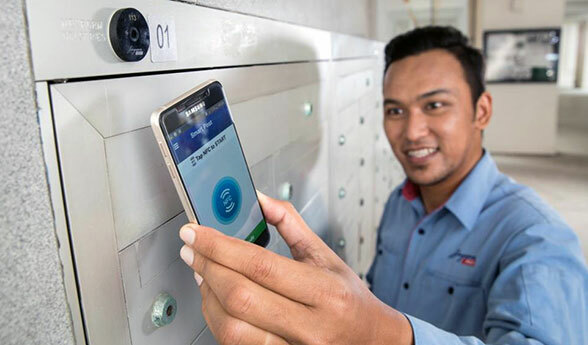 “With the SmartPost app, tracking, operational and productivity data is logged in real time as postmen hold up their smartphones against NFC tags at letterbox nests when they make their deliveries,” says Singapore Post. Singapore Post is digitising the nation’s postal operations under its SmartPost programme, and the system currently tracks deliveries and signing-over of registered mail. By 2020 the postal carrier plans to provide customers with delivery alerts and status updates by SMS and email, as well as electronic notifications to replace the paper notes that are currently used to inform recipients to collect missed deliveries from post offices.